The influence of Marie Menken on American experimental filmmaking cannot be overstated. Stan Brakhage, Jonas Mekas, Andy Warhol, Kenneth Anger — all these better known names owe much of their development as filmmakers to her. Trained as a painter, she manipulated her Bolex camera like a set of brushes and palette knives. 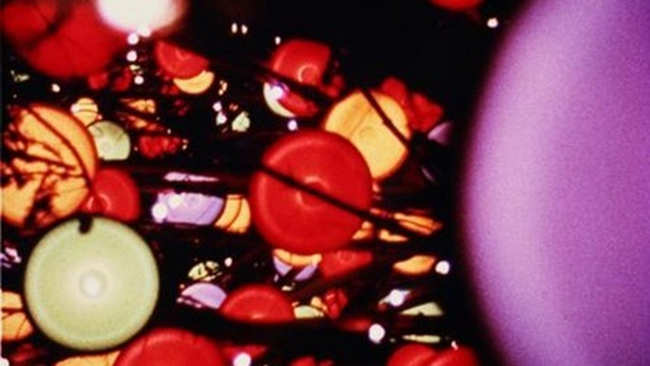 The films in this program, several of them tributes to other artists, are bold experiments with light and motion. Beyond the pyrotechnics of camerawork and editing, what inspires is the bodily connection to subject matter, clasped intimately like a partner in dance. Visual Variations on Noguchi | 1945. 4 min. Mood Mondrian | 1961-62. Silent. 6 min. Eye Music in Red Major | 1961. Silent. 6 min. Glimpse of the Garden | 1957. 5 min. Bagatelle for Willard Maas | 1958-1961. 6 min. Hurry! Hurry! | 1957. 3 min. Go! Go! Go! | 1962-64. Silent. 12 min. Arabesque for Kenneth Anger | 1958-1961. 4 min. Andy Warhol | 1964-65. Silent. 20 min. Running time: approx. 66 min.